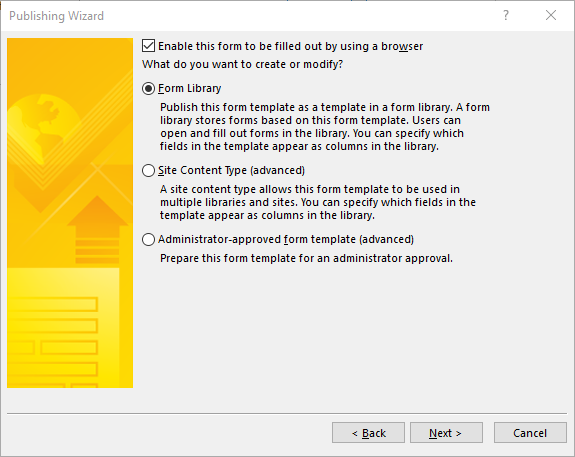 I have created a form using InfoPath in one of my SharePoint list. I have added a send email workflow on the same list. I want to send an email when people submit this form. The send email workflow worked. However, I realized that every time I submit the form, it sends email to people/person that I choose while creating the workflow. 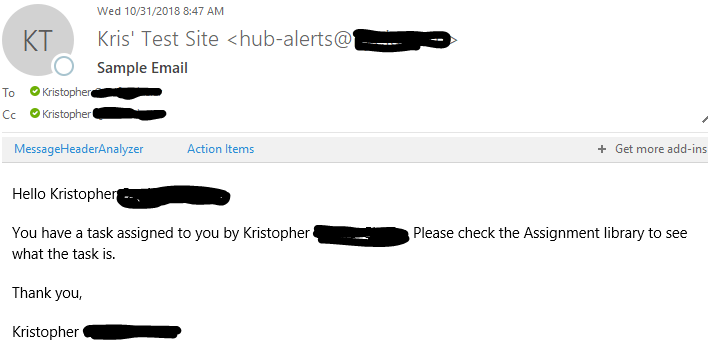 Is it possible to send an email to different people(people that I have not chosen while creating the workflow)? Add a people picker field to the InfoPath form to directly add the people involved to the form. 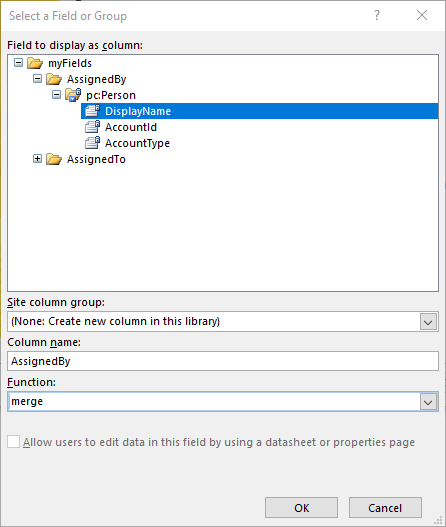 From there if you push that field to the SharePoint list as a column, you can reference that column in SharePoint Designer's workflow. Add a column or two in the form library that you fill out manually once the form has been submitted. From there you can reference that column in the workflow designer. Make a new list with a text column and X people-picker columns. Connect that list as a data connection and put the contents of the text column as a dropdown menu. From there you can use the value that the user selected to look up the other X people picker columns from your workflow to reference in your email. A poor choice is to make N versions of your workflow that reference the N different sets of people you may want to email. But this is not advised. Do any of these ideas seem viable for your situation? If not, can you explain more of what's going on? Things like how many sets of people are there? Or are they random people each time? If you need help brainstorming more, let me know. I can even toss up an example or two if you're interested. 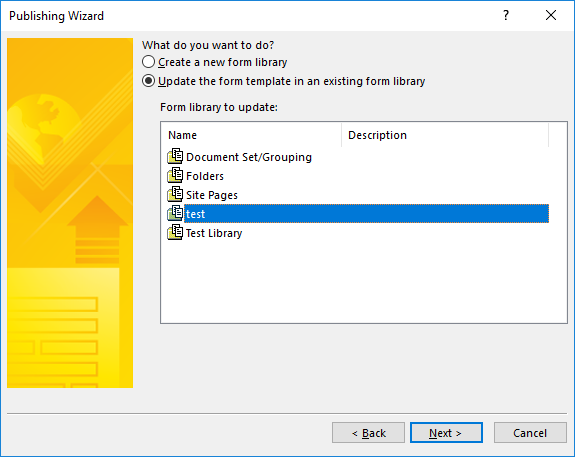 Make sure you've got the Person/group Picker field added to your SharePoint library via the publishing wizard. Once you've finished publishing and have set up the submit connection, add your people. Here's an example where I add myself to the "From" and "To" fields. "Workflow Lookup for a User..."
Under Current Item, find the field you named back when you added the fields from your form as a column to the library. I forgot to change the names to unique names, so here they both are called "Display Name" but you can name them whatever from the publishing wizard in InfoPath. Do the same in either the "To" or "CC" section of the email interface for whoever is supposed to be the "from" column. I put one in "to" and one in "cc" as I'm in both spots for my example. Write your email how you want. You can add references to the people in your letter, or just make it generic. You can see part of an email in the background of the previous image I posted. Save the workflow, and go back to the workflow's properties. Select "Start workflow automatically when an item is created". Doing a sample with the form that was created you can see I'm in both the "To" and "CC" sections of the email. If I had used someone else's email you'd notice that the To is to whom the task is assigned, and the CC is who sent the task. IMAGE : Publishing Wizard Step 1. Site URL. IMGAE: Publishing Wizard Step 2. Type of Form. IMAGE: Publishing Wizard Step 3. Library selection. IMGAE: Publishing Wizard Step 4(ish). Selecting field for column. IMAGE: Publishing Wizard Step 4. Added Columns. Yes, it is possible to send an email to different person every time you submits the form. Add person or group field in your InfoPath form and SharePoint list. Say EmailReceiver. While writing email action in workflow, choose this EmailReceiver field in to section of email. So every time you add any user/group in the EmailReceiver field, workflow will send an email to that particular person or group. Send e-mail in a workflow. Workflow to send email to contents of a people picker field. Send email using SharePoint Designer to the users in Person and group field. 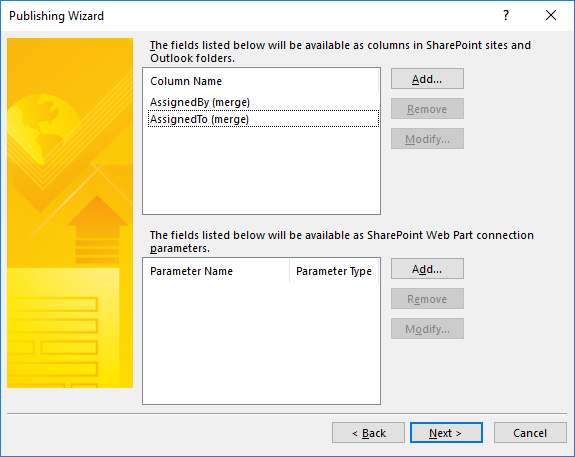 Create a column in SharePoint list or library. 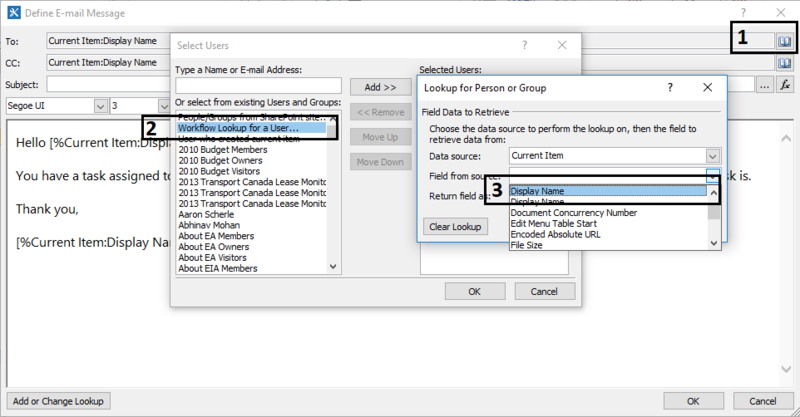 How to add people picker field in infopath 2010. 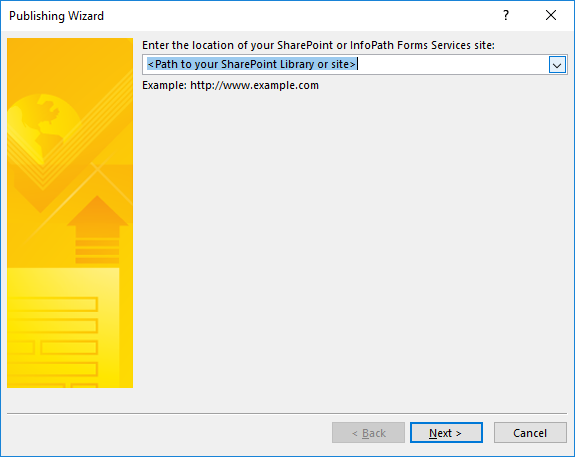 How to add a People Picker to an Infopath for SharePoint Office 365.